The 2019 UK Trip to visit National Trust Properties will take place from June 18 to 22 and will visit Essex and Suffolk. We have a nice hotel booked in the Colchester region and we will be travelling from Brussels by Eurostar to St. Pancras. It is a very long time since we visited the area, which is well known for being a landscape much-loved by one of Britain’s most famous artists, John Constable, and the home of the composer Benjamin Britten. 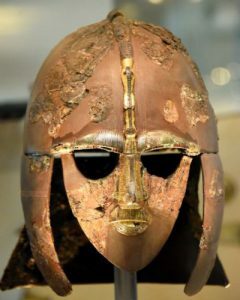 Sutton Hoo, managed by the National Trust, is the site of a 6th and 7th century ship burial and another place of note in the region. Beside some unusual National Trust properties there are also some fabulous gardens, rolling English countryside and large areas of wilderness.